If you ask my 13-year-old son he’ll tell you that homework is the root of all evil. Unfortunately he is yet to see the benefits of the extra study, development of time management skills or the delights to be gained in his academic progress. 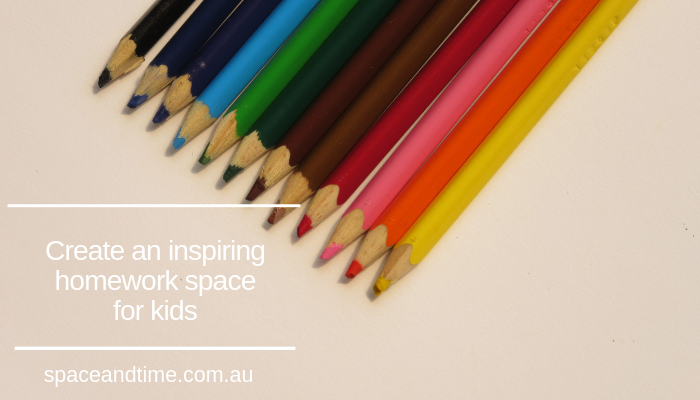 With the practice of “homework” seen as such as drudgery, this blog plans to set up a homework space to inspire. I don’t offer tips on how to actually get your child to do what they should be during homework time, only an inviting space that they have created and have ownership of. Set up space for them to spread out with all their books and laptop and other resources, rather than things jumbled on top of one another. Allocate a nearby power point or extensions cords with related charging cables to allow charging while they’re working. Dedicated cables saves hunting for them during precious study time. The art of procrastination is very real during homework time. Consider if your child will play music while they’re doing their homework. Some kids flourish listening to music; others get distracted. Set up a caddy that’s easy to pick up and pack up including pencils scissors glue stick so they’re not having to run around the house looking for these items in the middle of their study time. Another great procrastination tool. Dedicated space or “mobile” desk? Will they use the kitchen table or an otherwise dedicated desk? If they are going to work at the kitchen table or bench, ensure it is clear and ready to sit at and work straight away. 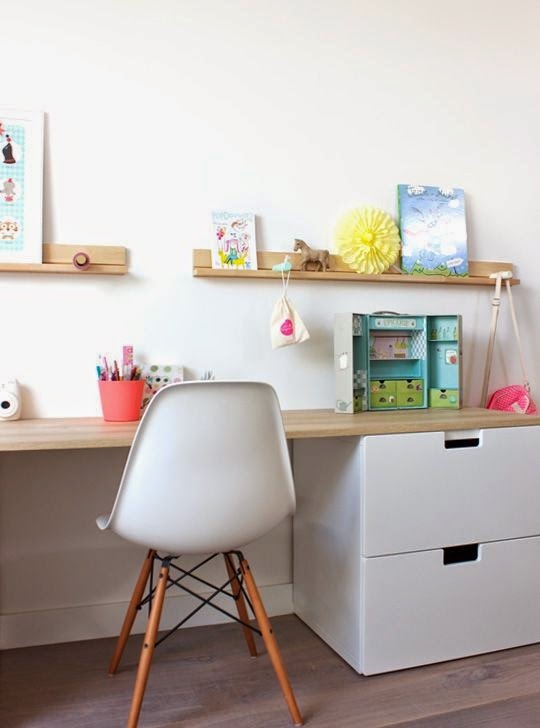 Get your child involved in setting up the work-space. Allow them to choose their own pens and items it go in their stationery caddy and if they are permitted to play music, allow them to play their own (within reason). Although not related to space, consider your parental involvement in the homework. Does this space need to be close to living areas to allow parent input or does your child work better away from the bustle of after school life at home? As mentioned in the introduction, I’m not an expert on getting the kids to actually do their home work (see tips from the experts in the below link from the raising children network). But perhaps with some input to the space around them and how they organise themselves, they just might slowly get on board the homework train.